“Oh, you sew? That’s great. Can you hem my trousers? Fix my curtains? Make me one of those?” Anyone who can sew knows these questions all too well but often the answer isn’t so clear. Time and again they get lured in with a smile and the opportunity for a good deed only to be rewarded with mounting hours of tedious work for nothing that they said they would never do again. Here’s why it is never acceptable to expect a friend who sews to do you a favour. Just a one-off favour? Think again. Globally we are fashion mad but pay very little attention to what we’re buying. We pull it off the rack, try it on and buy it and very often forget about it just as quickly after a few wearings. So while you may just want a hem sewn or a seam repaired you are not the first to ask and certainly not the last. 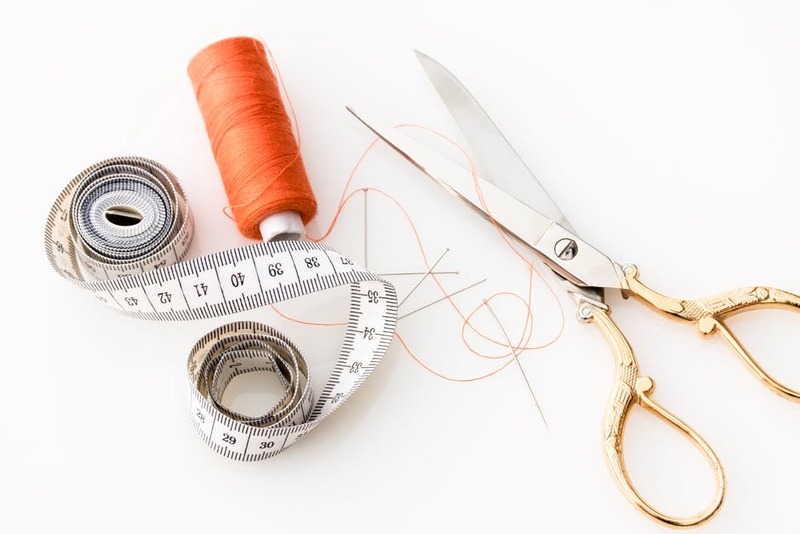 If you spent a little more on your wardrobe and looked after it – maybe even learned to make small alterations yourself – then you wouldn’t need a skilled seamstress to do basic tasks. You can learn basic sewing in no time – it’s called the internet. The seamstress you asked has spent years honing the craft so they can do interesting projects. They can’t do those projects when they have to go back to basics. That honing took hours of patience and financial investment and so the least they expect is to be able to realise their ambitions of their own exciting projects. Would you expect an experienced writer to write emails for you for free? A talented musician to string and tune a guitar for you? If you have a hobby then you know how valubale your free time is. The vast majority of sewists have boring day jobs like the rest of us and savour perhaps just a few hours a week to do what they really enjoy. Should they really spend that doing favours for other people? Even offering a token bit of cash rarely makes up for a seamstress doing a tedious little chore. The chances are they will turn down small payments because they would rather do half an hour’s work out of kindness than for an insulting fiver. If they are a professional in their field then definitely don’t expect any favours. No one wants to take work home with them and why would they do for free what they normally get paid for? Most work freelance and so you are literally stealing working hours from them. Rather than asking a friend, relative or neighbour just head to your local dry-cleaners or tailor who provide these services as part of their business. You liked that completed project they showed you and you wondered if they might make you one? Be prepared for a shock. We are so used to textiles made abroad in vast factories that we are totally oblivious to the expense of sewing. Fabric is expensive whatever way you look at it. Handmade items take hours. We’re not talking about a production line here. Sewists often work like sculptors or painters painstakingly working for hours on crafting a unique piece. You might have offered £20 for that cushion cover but did you know that wouldn’t even cover materials? That craftsperson is then working for free or well below minimum wage – for you. Need moral support or want to share your latest projects? Join our Facebook group!